It’s almost time for every American history teacher’s favorite celebration – Comfest! Filthy hippies! No, wait, I mean Independence Day! Not everybody had Ellen Madden Edeburn to teach them history, so thankfully, there was Schoolhouse Rock. Starting on Saturday morning ABC tv in 1973, these toe-tapping lessons were sandwiched between Scooby’s mystery solving and the athletic antics of the Laff-A-Lympics, teaching us everything we needed to know about adverbs, our hero zero, and the preamble to the constitution. 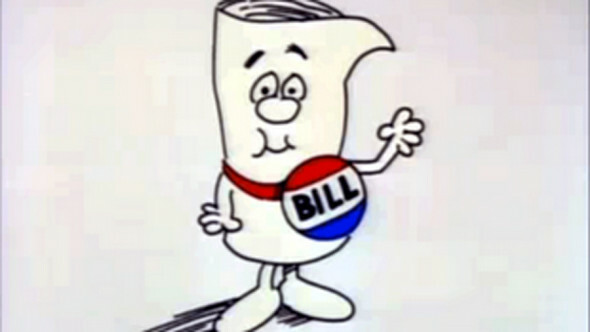 As we get set to celebrate another 4th, let’s count down the top 5 history lessons from the days of Schoolhouse Rock. Sing along with us! No, not the legendary Spring Break bar in Ft. Lauderdale..SHR covers manifest destiny at it’s most melodious! This revolution was televised…and set to music…USA! USA! “Til the 19th amendment stuck down that restrictive rule…sisters unite!” Preach on, ladies! True, there’s nothing here about lobbyist bribes, pork barrel riders or signing statements, but Bill makes his three minutes count! If you can’t clearly remember your entire class singing this to themselves during history tests, you were cheated out of a bedrock in education.